"Heroines from the Fairy Tale Forests of the Brothers Grimm Collection"
My partner and I went "antiquing" yesterday at Innisfil, Ontario for fun and found this precious doll. No, she's not actually antique. She came out in 1989. But you know how antique places are. They're usually filled with people's unwanted goods, new and old, like flea markets. Apparently, somebody no longer wanted this cutey. Their loss, I say! She didn't come in a box and she's missing her basket of goodies but she's in mint condition. Her clothes are pristine to a point that the stitch holding her cape in a folded position is still there. 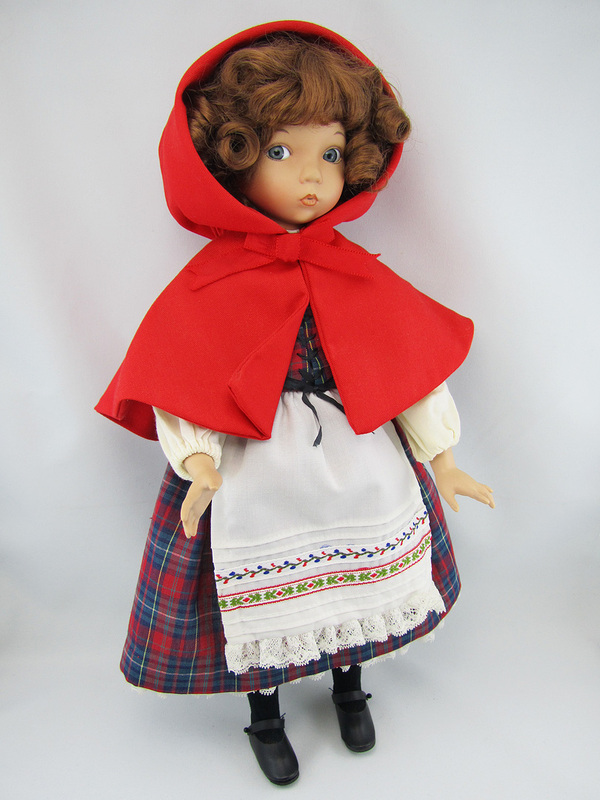 She's about 14" in height with a soft cloth body and a porcelain head, hands and feet. Her head sculpt is by a renowned doll maker, Diana Effner. I actually first saw this doll many years ago from a curio cabinet of my high school friend's mother. 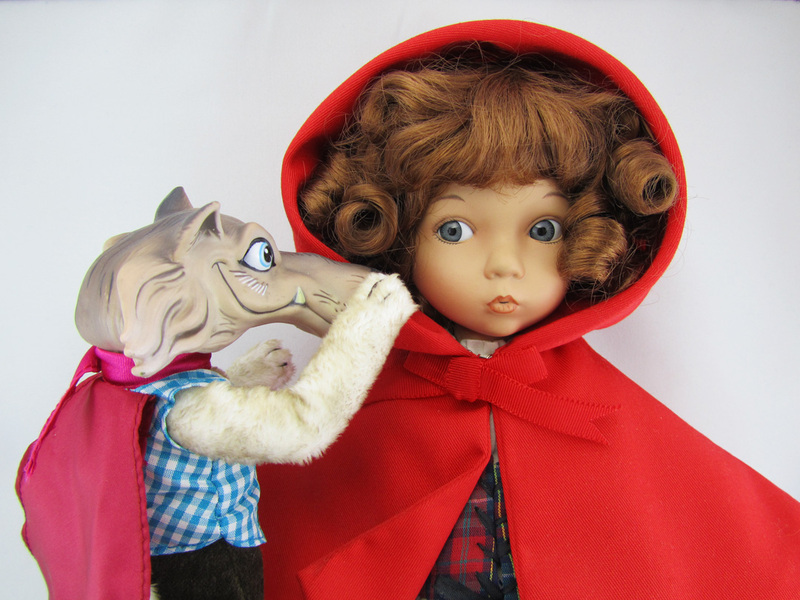 She was a porcelain doll collector and had a bunch from Ashton Drake Galleries which included Little Red Riding Hood. Before I started collecting fashion dolls, I first thought of collecting porcelain dolls because of my friend's mother who had so many nice ones. They were so unlike the scary kind that you find at those thrift shops. In fact, I think my very first collector doll purchase was not a fashion doll. It was a 14" Rapunzel porcelain doll [story for another day]. Although I do own a couple of porcelain dolls, I decided to go against collecting them seriously because of their size. Funny how I ended up bringing Little Red home anyway. She was at the top corner of a locked glass case, half-covered by other toys, screaming my name. You understand why I had to oblige! Wow - She is Precious!